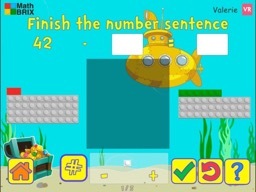 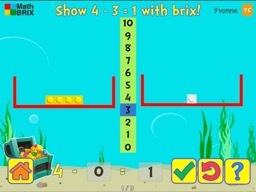 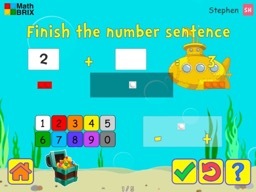 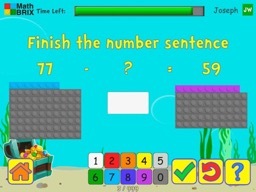 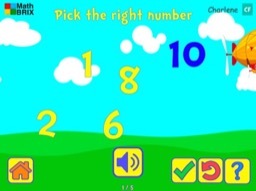 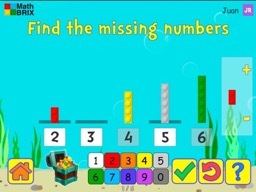 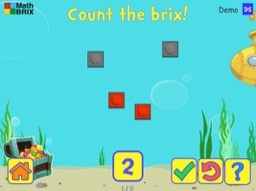 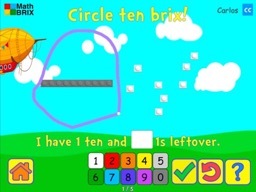 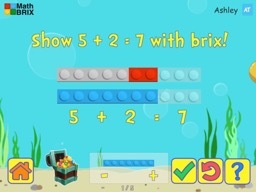 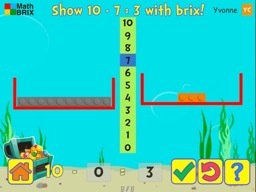 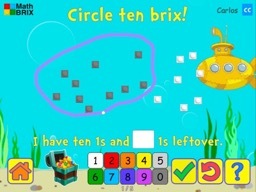 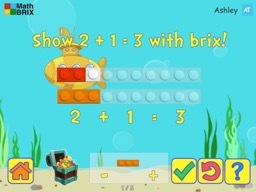 Kindergarten activities focus on counting and number recognition, gradually introducing students to simple addition and subtraction operations. 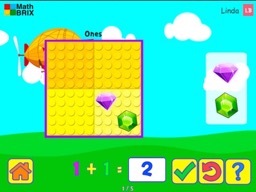 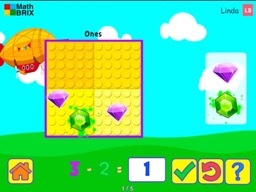 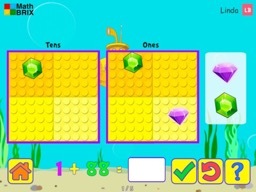 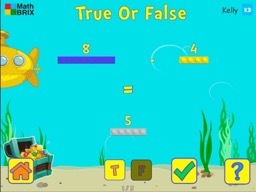 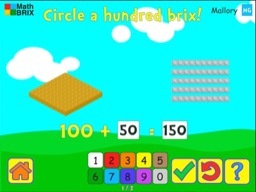 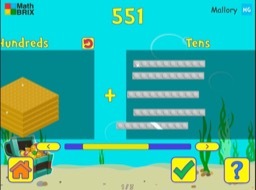 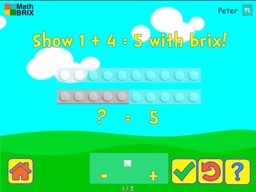 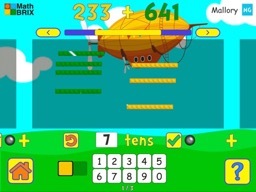 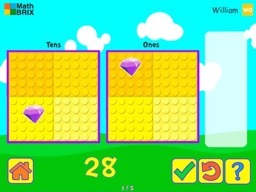 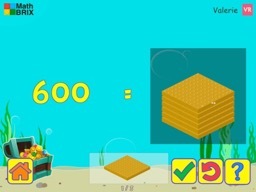 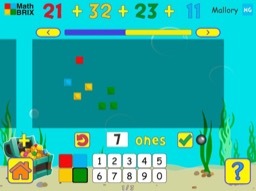 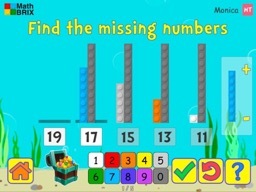 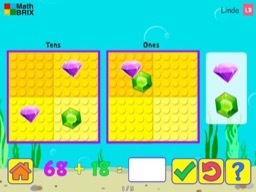 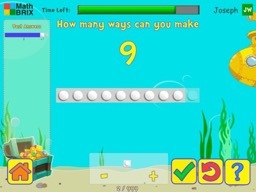 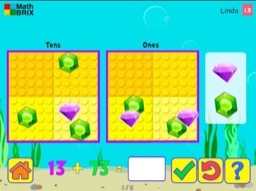 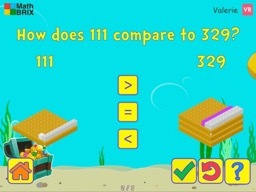 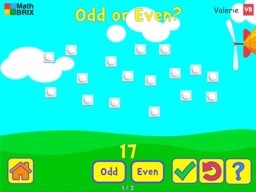 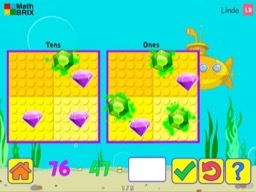 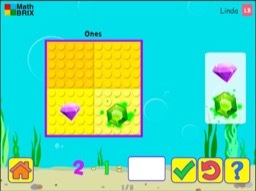 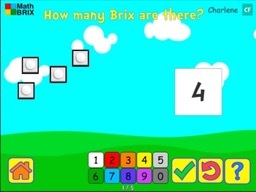 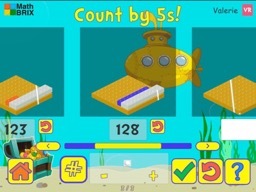 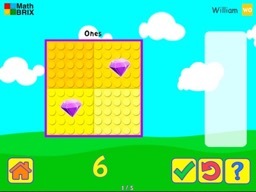 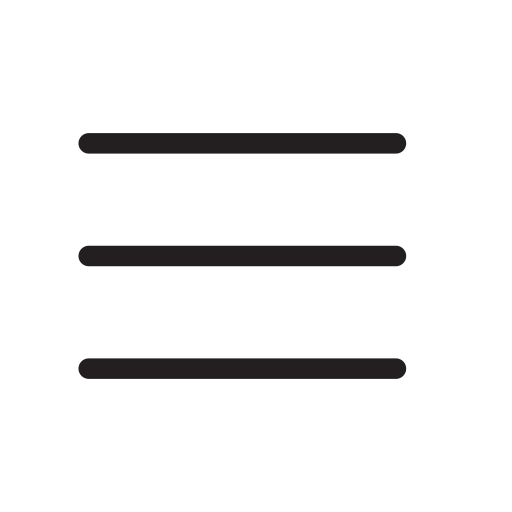 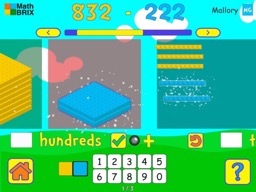 Throughout, on-screen manipulatives are used to help students visualize numbers and develop a conceptual understanding of the problems they are solving. 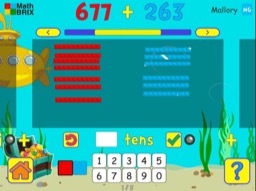 In second grade, students continue their explorations of place value, and also begin to practice pre-multiplication skills (adding arrays). 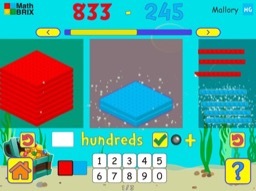 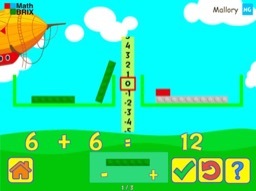 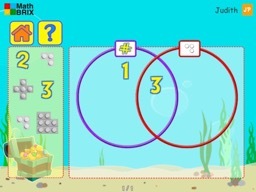 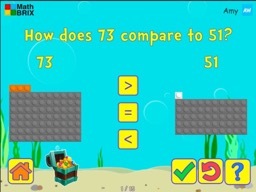 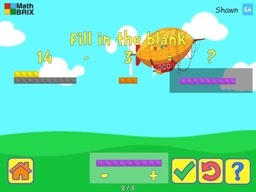 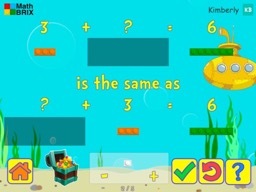 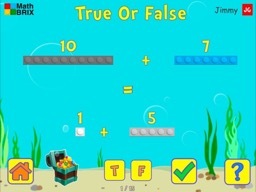 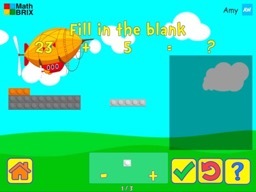 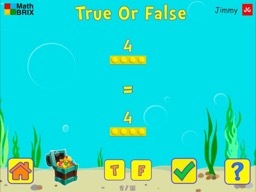 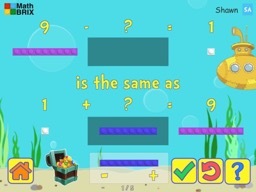 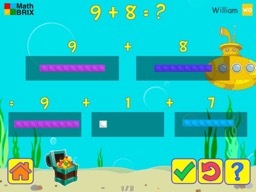 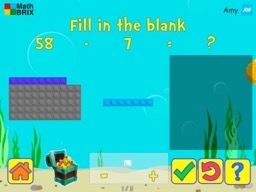 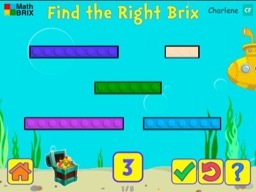 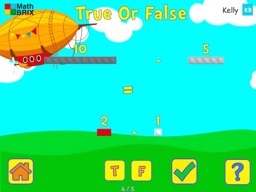 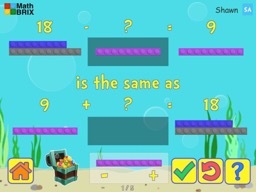 Activities in this grade place specific emphasis on mathematical strategies for solving problems involving 3-digit numbers and more than two 2-digit numbers. 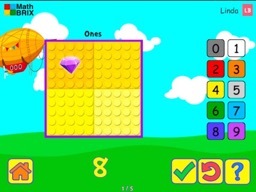 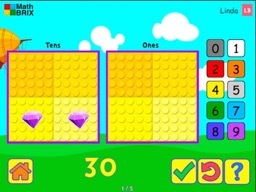 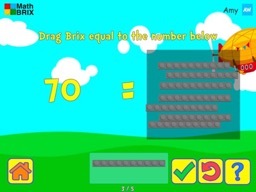 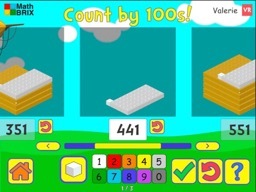 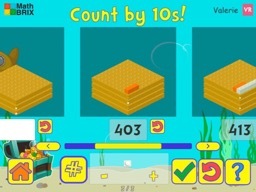 Second grade introduces 3D manipulatives that are helpful in understanding numbers over 100.